There’s no better time than Fall in the Hudson Valley, and no better guide to the wonders of nature than world-renowned naturalist John Burroughs (1837-1921). Below are listed a few of the many places to learn from him. Burroughs led generations of Americans to see nature and—in seeing and experiencing it firsthand–to love and sustain it. Enjoy. 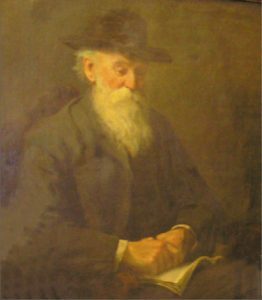 Portrait of John Burroughs by John Vanderlyn at SUNY Ulster. Proffers the coveted John Burroughs Literary Awards given to one masterful book each April for a natural history book in the style of John Burroughs. The Literary Awards also honor Books for Young Readers, and an outstanding essay. The JBA maintains Slabsides, Burroughs’ Hudson River retreat, and the surrounding John Burroughs Nature Sanctuary. Hike, picnic, and be inspired at Slabsides, where you can commune with nature and consider some of Burroughs’ early visitors. (Theodore Dreiser, Thomas Edison, Henry Ford, Harvey Firestone, Teddy and Mrs. Roosevelt, were among thousands who sought his company and insight. 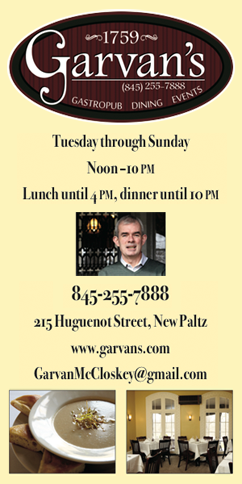 Sit on the porch of Slabsides in West Park, NY, and consider the men and women of history who occupied it before you… Teddy and Mrs. Roosevelt, Theodore Drieser, Henry Ford, Elbert Hubbard, Harvey Firestone, and other admirers of John Burroughs. The Writings of John Burroughs. Bibliography and chronology of his life and works; photos from his books, and links to many websites about Burroughs and people associated with him. History, visitor and business information for the Town of Ro xbury, Delaware County, NY. John Burroughs spent the last summers of his life here. Free, guided tours of Woodchuck Lodge are offered the first weekend of the month, May – October, Saturday and Sunday, 11:00 am to 3:00 pm. 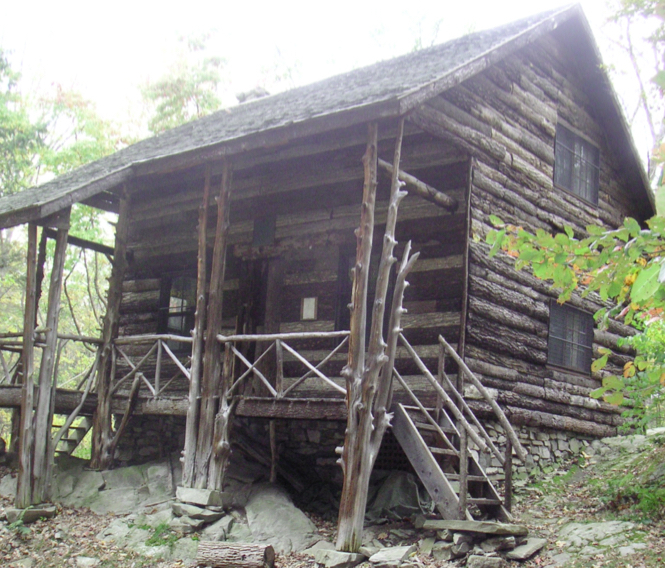 John Burroughs Woodchuck Lodge is a registered National Historic Landmark. From 1910 to 1921, it was the summer home of John Burroughs, America’s most prominent and adored naturalist-essayist. The Lodge was built in the early 1860s by Burroughs’ older brother Curtis on the family’s homestead land where the naturalist was born and raised. The rustic farmhouse has been in the Burroughs family since its construction, except for the years 1922-1947 when Burroughs’ close friends, Henry and Clara Ford, owned it. John Burroughs wrote several essays during summer sojourns at Woodchuck Lodge in the last years of his life, and there he also entertained luminaries such as Harvey Firestone, Thomas Edison, and Henry Ford. Filled with photos, documents and historical accounts about the Catskills; includes a substantial section on Burroughs, with scans of several books, a 9-minute silent movie made of Burroughs at Woodchuck Lodge in 1919, and a link to Libravox audio recordings of several Burroughs essays and poems. Detailed description of camping trips made by the Vagabonds (Ford, Edison, Firestone, Burroughs & others). Image of Burroughs in his Model T, a gift from Henry Ford. NYS Office of Parks, Recreation and Historic Preservation location showing John Burroughs’ burial site. A new and exciting information board is to be installed shortly. This is a short distance from Woodchuck Lodge.